Crowned with SpaceX’s first space-worthy Crew Dragon spacecraft, the Falcon 9 rocket counted down to ignition of its nine Merlin 1D first stage engines at 4 p.m. EST (2100 GMT) Thursday atop pad 39A, the same launch complex used by NASA’s Saturn 5 moon rockets and space shuttles. After the launch pad’s crew access arm retracted and the Falcon 9 was filled with kerosene and liquid oxygen propellants, a cloud of rocket exhaust emerged from the flame trench north of the launch pad as the Merlin engines fired at T-minus 3 seconds in the mock countdown and throttled up for a burn that was expected to last around seven seconds. Hold-down clamps kept the 1.2-million-pound rocket on the ground at pad 39A for the static fire test, a customary milestone in all SpaceX launch campaigns. Multiple sources said the test-firing cut off before reaching the full planned duration Thursday, but SpaceX declared the test a success, clearing the way for the rocket to be lowered horizontal and rolled back to a nearby hangar for final checkouts and preparations ahead of liftoff next month. 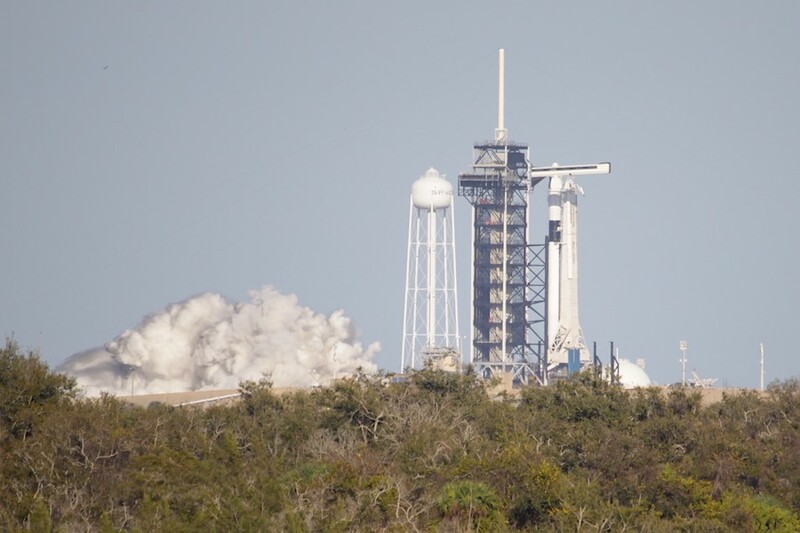 Thursday’s test-firing occurred one year — to the day — after SpaceX conducted the static fire test ahead of the inaugural launch of the Falcon Heavy rocket, which took off Feb. 6, 2018. NASA and SpaceX managers are targeting launch of the Crew Dragon’s first test flight — without astronauts on-board — no earlier than Feb. 23. 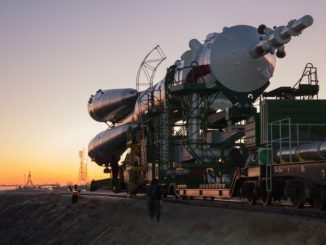 The instrumented, privately-developed capsule will launch toward the International Space Station, arriving there a day or two after liftoff, then return to a splashdown at sea in early March. The Crew Dragon is one of two commercial spacecraft NASA aims to use to ferry U.S. astronauts to and from the International Space Station, ending the space agency’s sole reliance on Russian Soyuz spacecraft for crew transportation to the orbiting research laboratory. NASA signed a $2.6 billion contract with SpaceX in 2014 to design, develop and fly the Crew Dragon spacecraft, and the agreement covers the two test flights — Demo-1 without astronauts and Demo-2 with astronauts on-board — and six operational crew rotation flights to the station once NASA reviews the results of the demonstration missions. For example, the Crew Dragon features powerful hydrazine-fueled SuperDraco thruster pods that could be used to drive the capsule away from a failing launch vehicle. 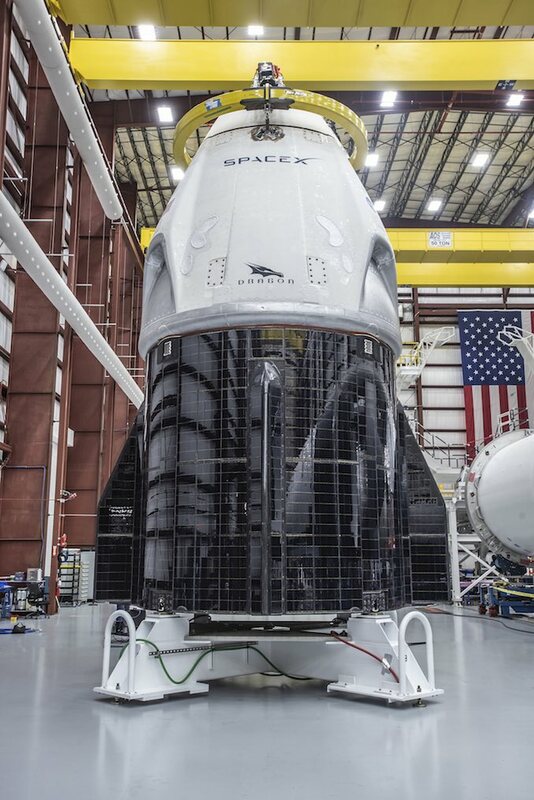 The spacecraft’s rear trunk section also has solar panels mounted on the body of the vehicle — they were fixed to deployable wings on the first-generation Dragon spacecraft — and a thermal radiator to keep the craft’s temperature within limits. 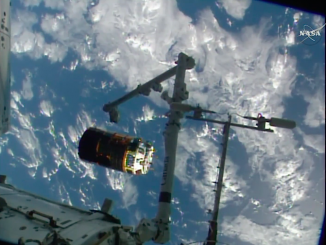 Crew-carrying Dragons will also have seats and an astronaut control panel. SpaceX has also introduced upgrades to the Falcon 9 rocket to get ready for crew flights, including new composite high-pressure helium tanks to replace reservoirs whose design engineers concluded contributed to the explosion of a Falcon 9 on its launch pad in 2016 during fueling. NASA requires SpaceX to launch seven Falcon 9 rockets using the new composite overwrapped pressure vessels before putting astronauts on the rocket. The new helium tanks began flying on the second stage in November, and on the first stage last month. 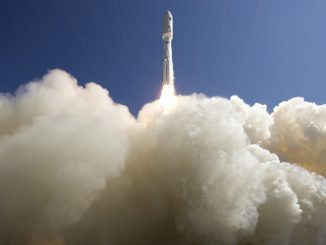 Assuming the Demo-1 launch goes according to plan, and an in-flight abort test of the Crew Dragon spacecraft goes off without a hitch in the next few months, SpaceX could be ready to launch a two-man crew to the station as soon as mid-June on the Demo-2 flight, followed by regular crew ferry flights to the orbiting complex by the end of the year. The partial shutdown of the federal government is not having major impacts on the Crew Dragon preparations. SpaceX personnel can continue working on the company’s payroll, and NASA employees necessary for support duties and readiness reviews leading up to the Demo-1 launch have been granted exceptions to continue working — without a paycheck — because their work has been deemed essential to maintain the space station.